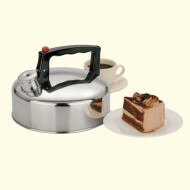 Stainless Steel Electric Kettle.1.7 Litre Cor.. Stainless Steel Whistling Kettle. Flip top sp..